Worn as a standalone piece or an effective mid layer, the Women's Covert Cardigan is a performance fleece jacket with a casually textured, heathered look. The simple design has modern sweater styling, clean lines and a trim fit. 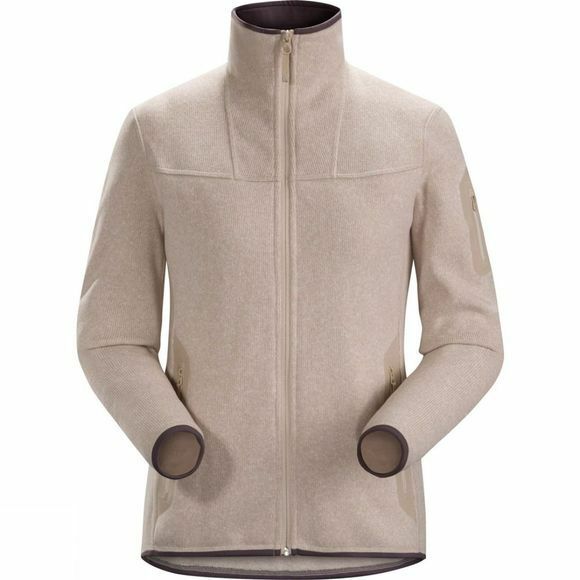 Arc'teryx developed Alpenex heathered fleece fabric to create an approachable technical jacket with the elegant look of wool. The polyester fabric has a brushed back knit that is engineered to provide versatile warmth and comfort. A go to piece for daily adventure.